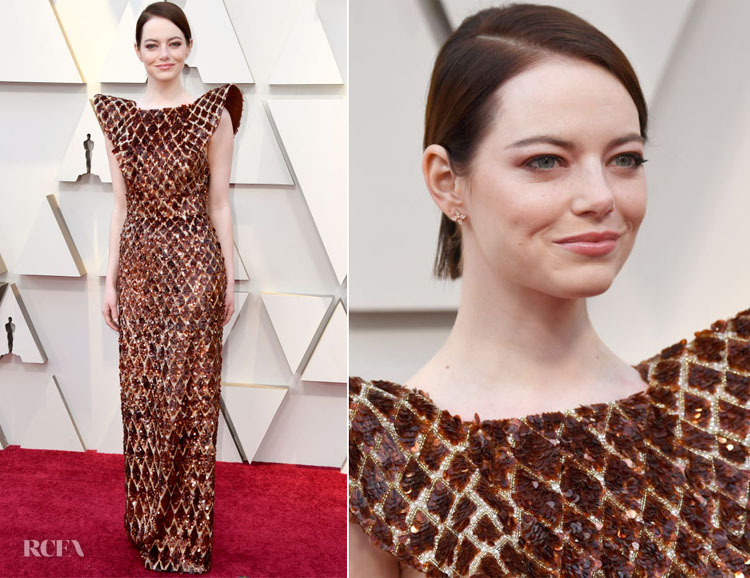 Emma Stone also took the 2019 Oscars on Sunday (February 24) in Hollywood, California to debut a new hairstyle. Her slick, shorter ’do was in perfect keeping with the attitude of this custom, embellished Louis Vuitton design that certainly wins points with some spirited panache. Whether you view the shape as more in line with quarterback shoulders or sculpted sophistication will likely inform your overall nay or yay feeling of the look. With her hair matching the dress, I was just left with the slight feeling that something was missing. What about you?